Did you know that 9 of the 10 leading causes of death in the Philippines are health related? And did you also know that just by eating better, making small lifestyle changes and doing moderate activity on most days of the week, we can reduce the risk of many diseases and increase our quality of life? The People Management Association of the Philippines (PMAP) is advocating health and wellness in the workplace as one of the most important issues that companies need to address today. 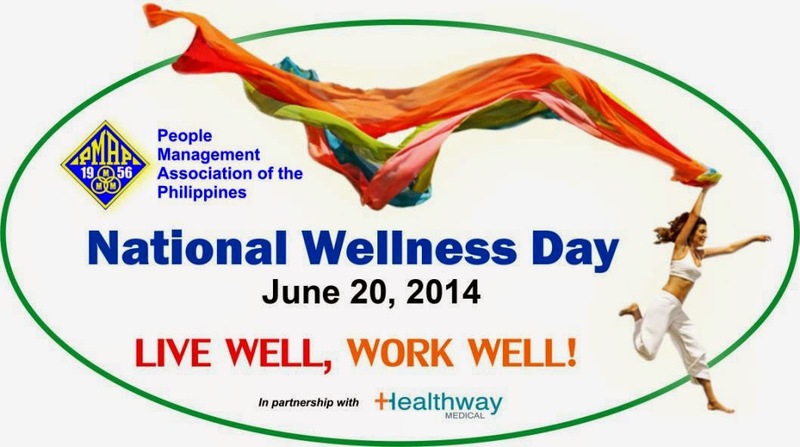 With this, PMAP will hold a nationwide event called National Wellness Day that is envisioned to be participated by various companies in the country, both PMAP and non-PMAP members, on June 20, 2014. PMAP also presented a suggested program format that companies can use as a guide for a half-day event that they can organize in their respective workplaces. It includes company-sponsored healthy lunch and snack; learning sessions on work-life balance, holistic and spirituality; and the 7-Minute PMAP Wellness Moment, a quick wellness activity that involves stretching and meditation to be done simultaneously across the nation by employees at exactly 3:00 pm on June 20. 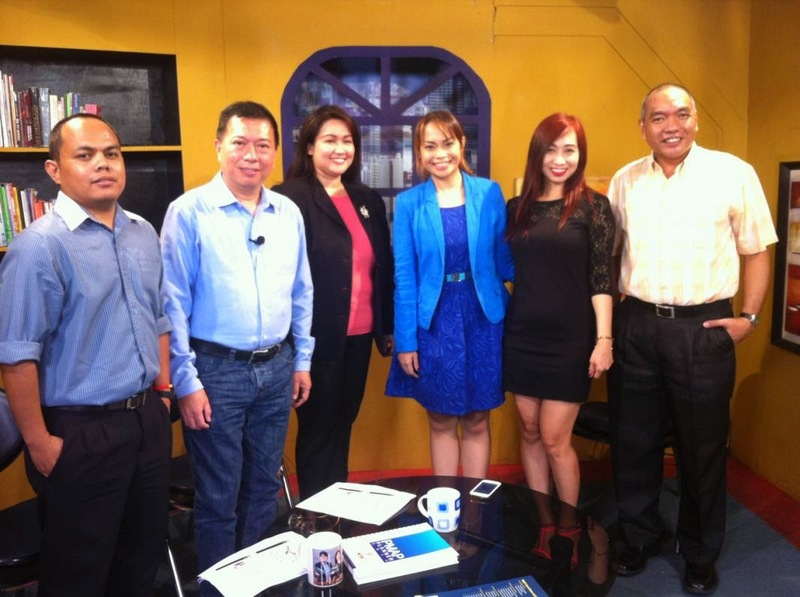 The People Management Association of the Philippine (PMAP) recently promoted over cable TV channel GNN the nationwide event called National Wellness Day to be participated by various companies in the country happening on June 20, 2014. During the recent episode of The Workplace with Marybeth Nave (3rd from right), the group presented a 7-Minute PMAP Wellness Moment, a quick wellness activity that involves stretching and meditation to be done simultaneously across the nation by employees at exactly 3:00 pm on June 20. In the photo (from left) PMAP Communications Specialist Richard H. Mamuyac; Trustee for PR and Publicity Committee Jesse Francis N. Rebustillo, Trustee for Fellowship and Wellness Michelle G. Guce; Chair for Fellowship and Wellness Committee Carmie De Leon and Healthway Medical Marketing Manager Joven A. Alcala. The wellness moment involves the following activities: (a) 2-minute stretching/ self-massage, (b) 2-minute of silence (to pray or meditate), (c) minute dance/ jog in place/ jump or hop and (d) 1-minute clapping/ laughing or handshakes with colleagues. Companies who will join in the event are encouraged to document their participation through videos and/ or photos and send a copy to the PMAP Secretariat to be included in the list of companies who will be recognized with a workplace wellness certificate during a PMAP event. “We encourage all our members to participate in this worthy activity likewise to discuss to your employees our advocacy on how to stay fit and become more productive members of our society,” Guce added. Aside for this initiative, PMAP is also organizing the National Wellness Summit happening at the SMX Convention Center in Pasay City on August 28, 2014 which will showcase the best corporate best practices on wellness in the workplace, health and fitness activities, company booths and others exciting surprises. For queries regarding the event, interested parties can contact Ms. Agnes Junio of PMAP through tel. no. 726-1532 loc. 306 or email agnes.junio@pmap.org,ph. Details are also posted on www.pmap.org.ph.